On Monday, February 21st, seven prison guards from Macon State Prison were arrested on charges of beating Mr. Terrence Dean, a client of Williams Oinonen LLC, so badly that he sustained brain injuries and was partially paralyzed. The Georgia Bureau of Investigation found that the guards had assaulted Mr. Dean: Georgia Bureau of Investigation spokesman John Bankhead stated that the seven prison guards– Christopher Hall, Ronald Lach, Derrick, Wimbush, Willie Redden, Darren Douglass Griffin, Kerry Bolden and Delton Rushin — were arrested Monday after they reported to work at the prison. All seven guards were charged with aggravated battery and violating their oaths of office. 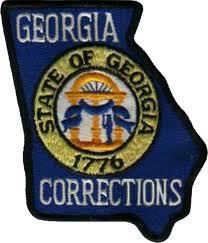 The arrests follow a prison strike within Georgia’s Department of Corrections. In December, inmates in at least four prisons throughout Georgia refused to work until conditions improved. Williams Oinonen LLC represent multiple clients who have been victims of these recent prison guard beatings. 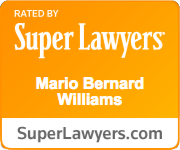 The New York Times spotlighted the recent arrest mentioning Mario Williams, the attorney heading the case from Williams Oinonen LLC. Additionally, our firm was pleased to see that the Atlanta Journal Constitution also wrote a very substantial article on the prison guard arrest.